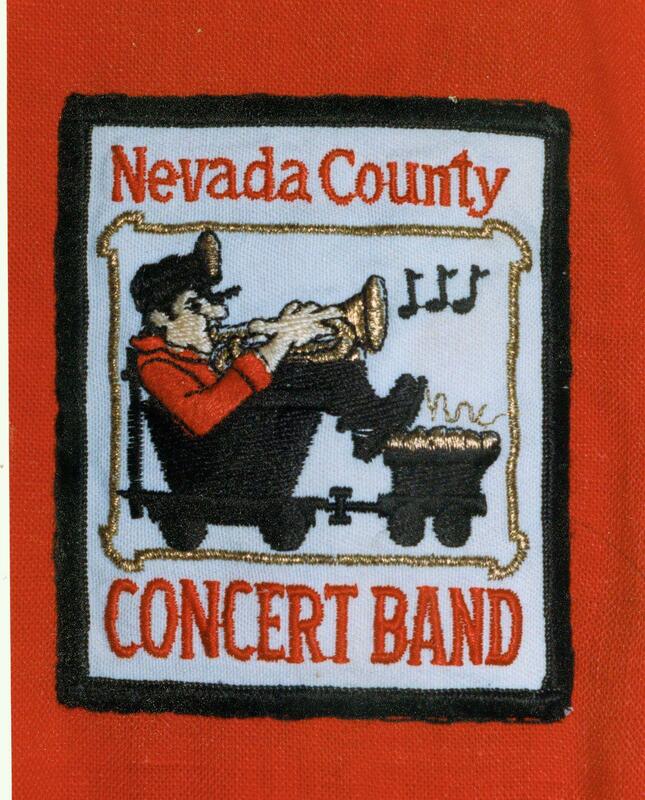 The Nevada County Concert Band is a direct descendant of the many local concert bands of the 1900s, which played for socials, county fairs, patriotic celebrations, and Sunday afternoon concerts. 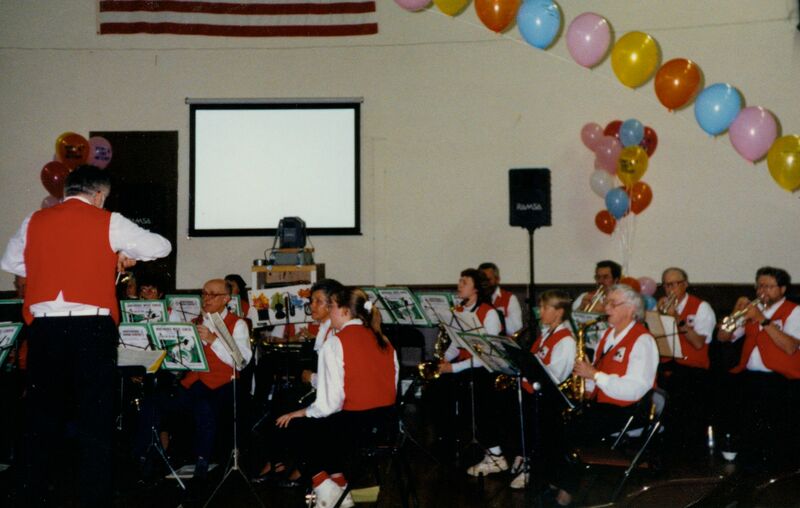 In the early 1920s, many of the local groups were consolidated into the Grass Valley Concert Band through the efforts of Harold J. George, a renowned cornet player and musical director. 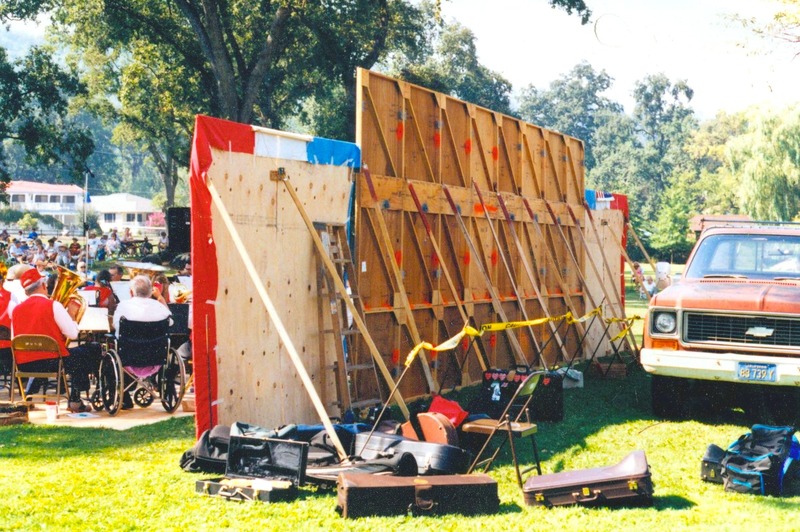 In the early 1970s, a group of musicians started forming the current band to carry on the traditions of the earlier pioneer organizations. The initial idea was to gather a small group together and to create a Germany Band; five interested musicians responded. One idea fed another and the group grew over time into a full-sized concert band culminating in the present pool of some 70 member musicians. 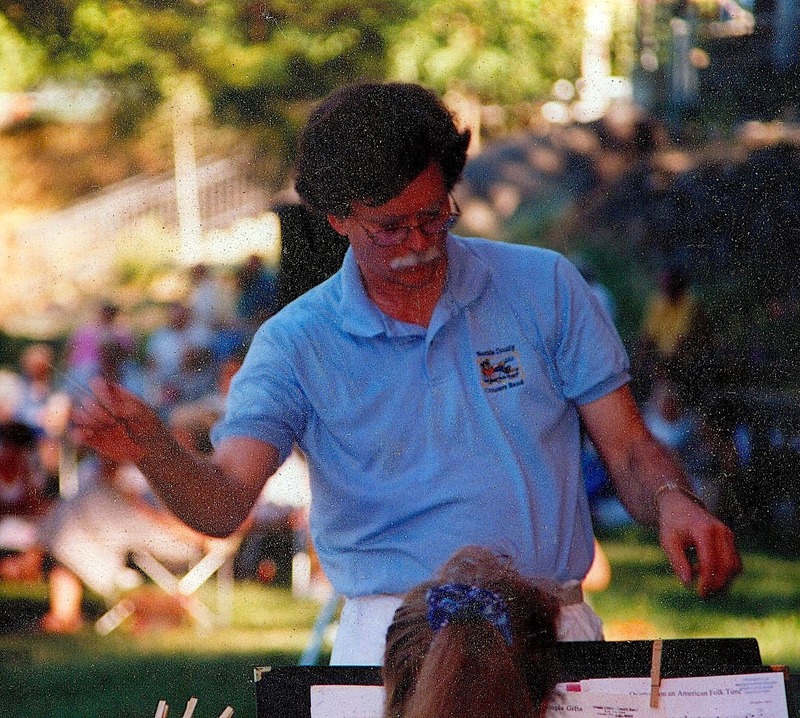 In 1971, the members rehearsed in the gym at the Seven Hills School with their first conductor, George Peavy. 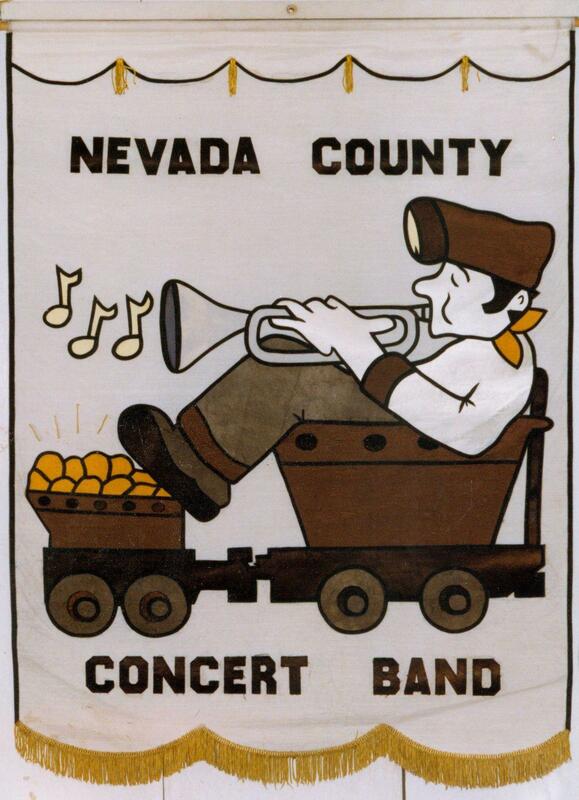 The band reorganized into its present form in 1972, and has been designated the Official Concert Band of Nevada City by the board of supervisors. 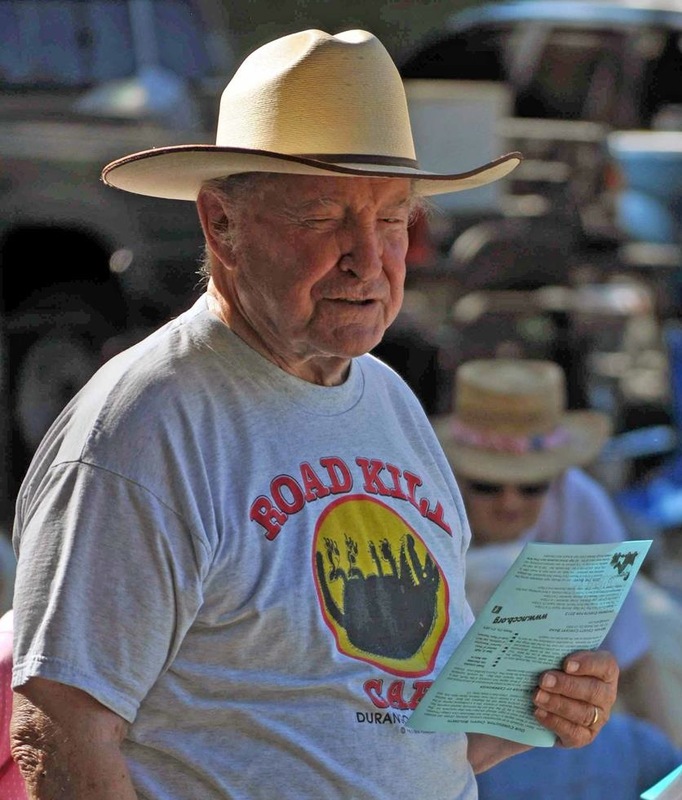 Two of the early members were noted entrepreneur Keith Cantrell and Harold George, who also played in the 1950s Grass Valley Concert Band (see Heritage). 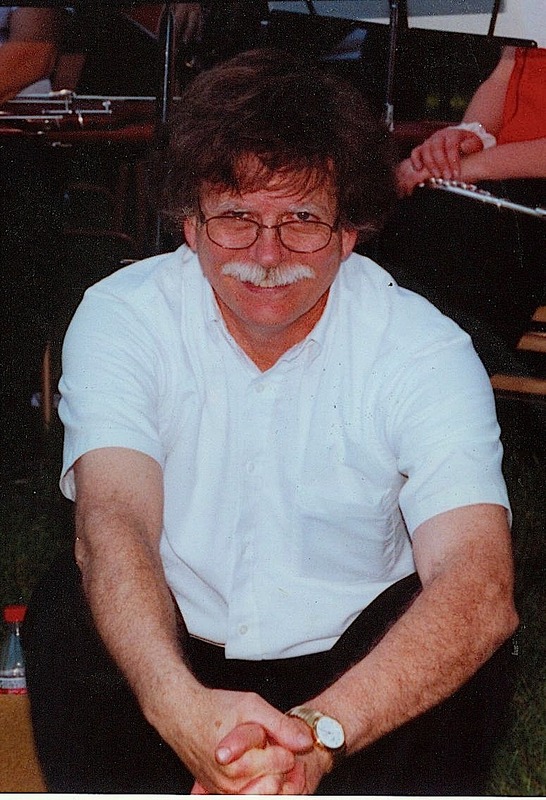 By the way, his son Harold George played clarinet in the band until retiring in 2008. It is also interesting to note that George Peavy's father invented the "Peavy," a well-known logging hand tool. For a while, the non-profit organization Sierra Musical Arts Association (SMAA) sponsored three performing arts groups: Nevada County Concert Band (formed in 1971), Sierra Community Symphony (formed in 1978), and Sierra Youth Orchestra. 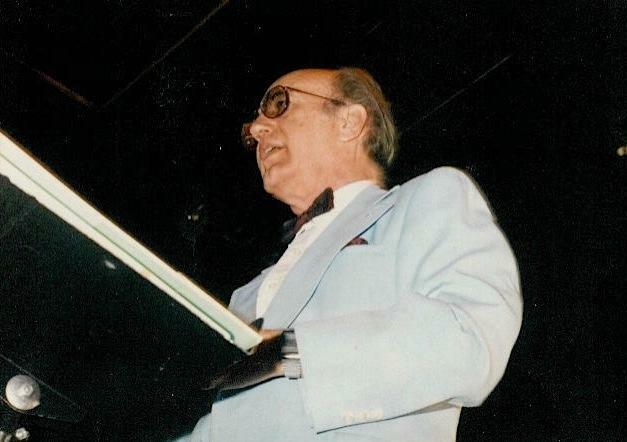 Eugenio Gaddini was the first SMAA director, taking on both the band and the orchestra. 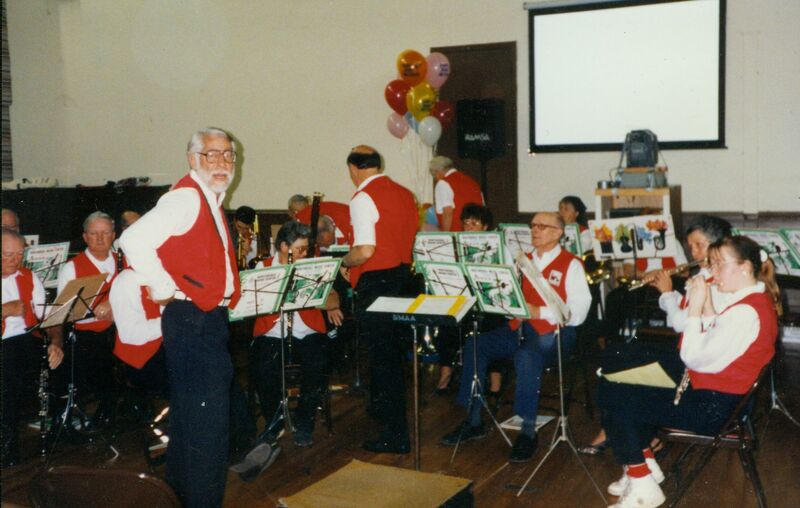 Years later, SMAA disbanded, and the Nevada County Concert Band became its own non-profit organization. 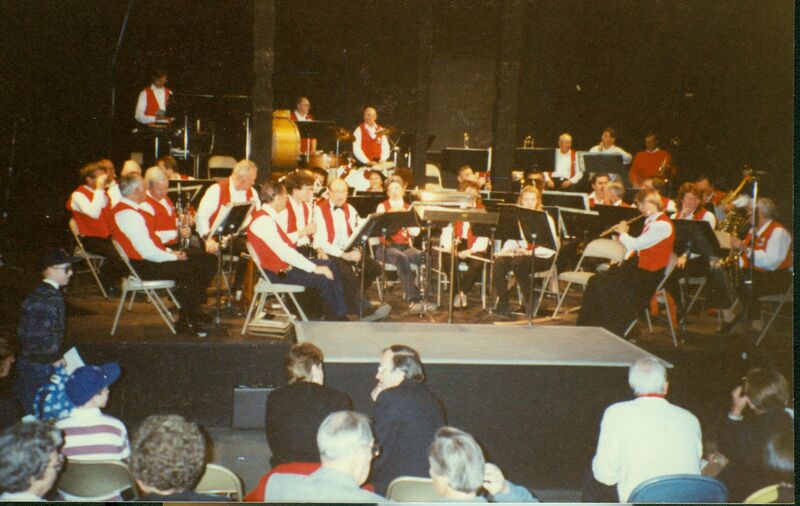 The symphony eventually became a part of the Sierra College curriculum when they opened a Nevada County campus in 1998. Congratulations to us! On Saturday January 30, 2010, the Nevada County Concert Band was honored to receive the "2009 Live Music Award" from the Nevada City Chamber of Commerce. The band�s president Cathy Harding and conductor Cheryl Woldseth were present to receive the award. They were also treated to a silent auction, raffle, and wonderful meal at Stone House Hospitality Academy (Nevada City). Cathy and Cheryl gave brief acceptance speeches about the wonderful social, musical, and networking benefits of having the NCCBand in our community. Here are pictures of the presentation, program, Live Music Award plaque, California Senate Recognition certificate, and California Congressional Recognition certificate. 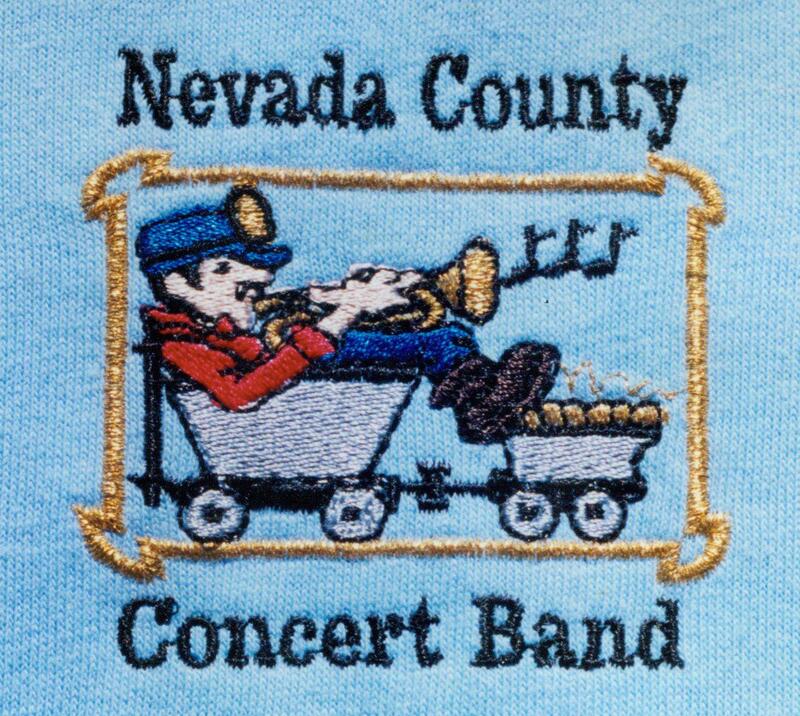 The band looks forward to continuing to entertain the citizens of Nevada County, and to fulfilling its charter enthusiastically as a significant participant in Nevada County's civic ceremonies. 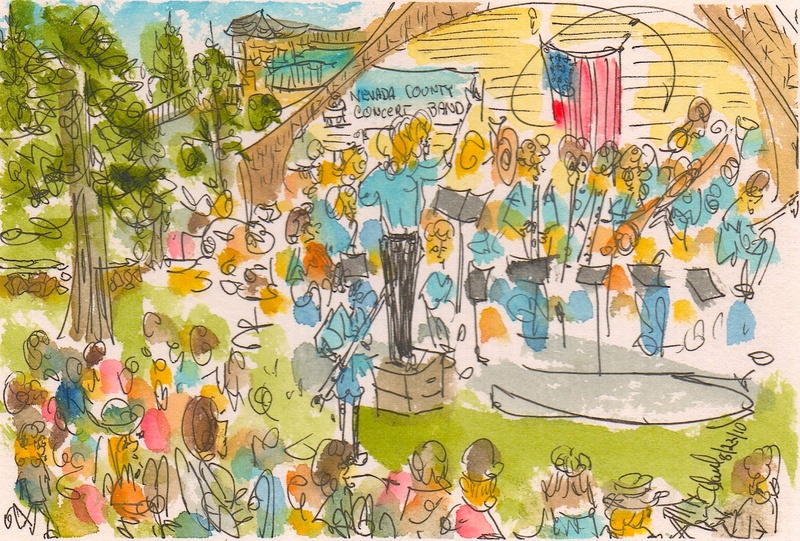 Special thanks to our band fan Saul Levy, who painted the first watercolor picture during the band�s 8/22/2010 concert, and the second picture during the 7/4/2012 curbside Independence Day concert. Then he graciously gave it to us to use. Wonderful! 7/22/07 Members of the Nevada County Concert Band and visiting members of 29 other musical groups perform "A River Runs Through It" a free concert at Pioneer Park in Nevada City. 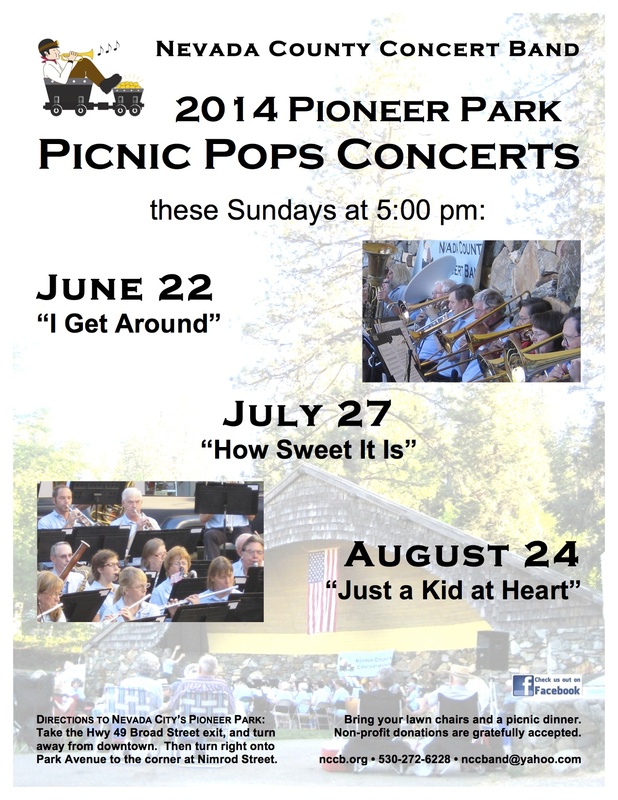 7/23/06 A Sunday Concert at Pioneer Park �Step in Time�. 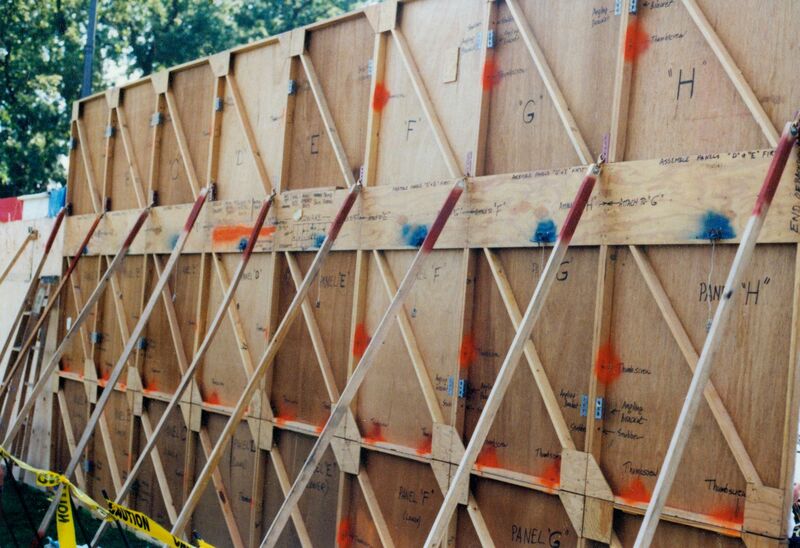 Pictures 1, 2, 3 of the infamous 24-foot backdrop used at outdoor concerts starting June 14, 1987 (news1, news2). 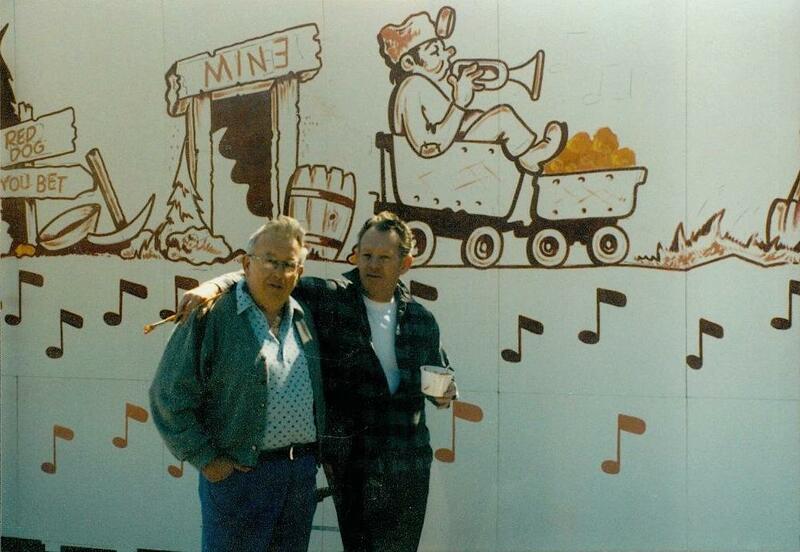 Its artist �Hack� Hackley of Sacramento is shown with logo designer Ernie Harries. 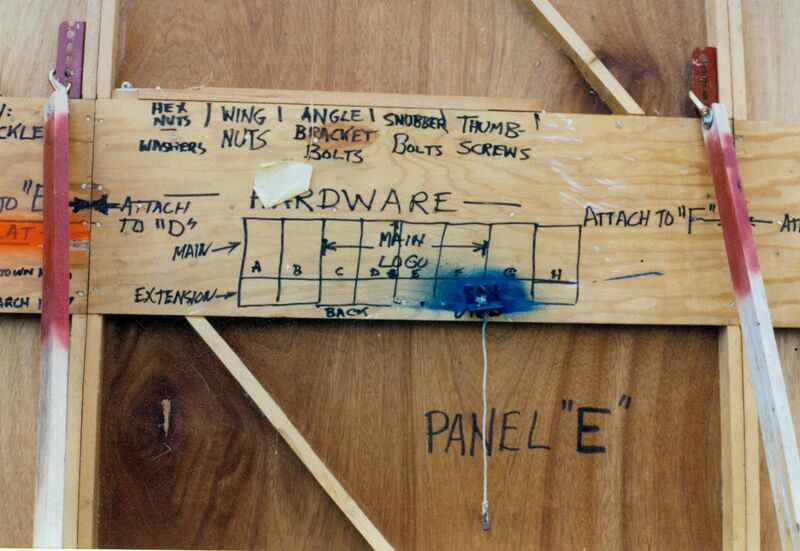 The backdrop was designed and built by Bob Weaver, with the help of Bill Barnhart and materials from Builders and Consumers (now called B&C Hardware) store. The hanging banner made by Kerry Goodwill was in use starting June 14, 1987 until 2004. This picture shows the banner that was placed on stage left, while the reverse image banner was displayed on stage right. The logo used on the red vest prior to 2000. The logo used on the blue polo shirt as of 2000. PLEASE LET US POST THEM! There is a lot of information regarding this scholarship program, which was offered for from 1998 to 2008. Click here to see the details, recipients, and description of this wonderful scholarship program.